The demarcation of land at Debsi under Chang gewog has started with the approval of the Ministry of Works and Human Settlement (MoWHS). However, four major land owners have not consented to the plan. The signatories to the letter sent to the Thimphu Dzongda with their concerns are Dasho Dorji Norbu, Major Pem Tshering, Tenzin Norshang Norbu and Sonam Tshering. Former Chang Gup Naku, who has no land record in Debsi as per the dzongkhag administration has also signed the letter. The issue with the Debsi Local Area Plan (LAP) revolves around the 23 percent and 26 percent land pooling. The logic behind the 23 percent and 26 percent is based on the calculation of the total width of the road. For the 8 m wide road, the pooling is kept at 23 percent and for the 10 m width it is 26 percent. The Debsi LAP covers an area of 186.54 acres including undevelopable slope and government land. It has 228 Thram holders. The plan to make the village a model project includes a dispensary, a school, storm water drainage, a mini park, sports ground, river buffer and others. It also includes a primary road of less than two kilometers with a width of 10 m, approach roads of 8 m width and roads connecting individual plots with a width of 6 m.
So far, the five stakeholders’ meeting had been conducted in consultation with the Thram holders. During the first stakeholders meeting, the dzongkhag floated the idea and people who attended fully supported it. It was once again reconfirmed in the second meeting and there it was decided that a concept plan will be prepared. It was prepared by an American architect who came out with three plans. People were asked to choose a plan and they did accordingly, said the Dzongda. In the third meeting, the concept plan was presented to resolve concerns people had. And finally the last meeting concluded on 18 November last year. “Major land owners contributing huge area of land need to be aware on the project time frame and budgetary allotment,” he added. Further he also said that about four or five years back, 20 land owners were residing at the place who owned 50 percent of the land. Those owners built the present bridge, brought in water supply and connected the village with road. “As per the plans presented, the roads were as wide as 10 and eight meters and that much is not required in view of the traffic we envisaged,” he added saying that they asked for it to be modified and still there hasn’t been any consensus on it. 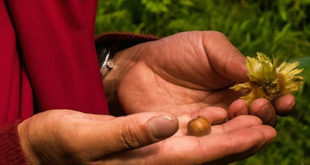 “We have written several letters to the Dzongda stating that unless things like project time frame and budgetary allotment is not presented, there would be no consensus. Since the survey is going on without our consensus, we cannot go with the plan,” he said. The Thimphu dzongkhag administration has asked the ministry to design the road and other amenities required to start the LAP. Thimphu Dzongda, Lhap Dorji said that the LAP is going ahead whether there is consent from or not from the four land owners. This, according to him is by going with the majority of two-thirds in favor of the plan. It was during the planning period, they submitted their concerns on various issues including land pooling. The Dzongda said that these land owners wanted to build four-storied buildings which was not possible as only two-storied buildings were allowed in the village. They did not want the school, dispensary or any of the recreational projects. “Whatever we proposed, they opposed,” he said. They also wanted to reduce the road width from 10m to 8m and from 8m to 6m. The plan to locate the school in the center of the village so that children from all corners could reach it within 10 minutes was also rejected so it had to be shifted to the periphery. “In keeping all these concerns in mind, we have compromised quite a lot,” he said adding that the number of storey for the building was increased to three and since it was left upto them to construct their own roads as they did not want the road, the land pooling was reduced from 26 percent to 21 percent. Recently, a letter was sent by them to the Dzongda. In the letter it was reflected that they needed a timeline to know when the project would start and end; it asked the dzongkhag to show the budget allocation, details on the exact area and the details of the Thram Holders and the size of their property. The Dzongda in his reply made his justifications. For the timeline, he said that since the project is not in the 10th Five Year Plan (FYP) as it was an adhoc program, it will be proposed in the 11th FYP. Once it is done, then the timeline can be fixed. The details of the total area was given to them but on the details of the Thram holders, the Dzongda replied saying that the Dzongkhag is not authorized to disclose them as per the Land Act. He said that these land owners should be aware of the fact that the land that they are losing now would only help them get better price for the remaining land once the road comes through. “Value addition will not only compensate the loss but it would benefit them,” he said. On this, one of the land owners said that the price of land is already about Nu 0.4 mn per decimal because of their efforts to construct a road. “Land price is already up and there is not much further scope. It is not because of the project that price of the land will increase. It is already sky high,” he added. I only advice to the Ministry of works and Human Settlement, the Thimphu Dzongkhag and the Thimphu City Corporation is to extend the Thimphu City boundary to Depsi. This will resolve all the issues. Depsi is not far from Thimphu City area and in few years time Depsi will by default come under Thimphu City area. Till such time, the land owner are willing to wait. I don’t know why Thimphu Dzongkhag is worrying about Depsi. The Thimphu Dzongda has bought some land in Debsi which is not accessible by road, thats why he is going to any lengths to push the plan. Last time there was a advertisement in the Kuensel for sale of land at Debsi and when asked the location they mentioned that it was next to Thimphu Dzongdags land. I think there is more to land pooling in Debsi than what is written and said. Maybe the authorities should investigate. Yes Peach you are right… while going through the article i can smell Influential people planning for second Gyelposhing before Depsi gets merged into Thimphu District Municipality. There is something fishy going on in case of Depsi Land pooling. Thimphu Dzongda is pushing the plan because of his personal interest and also due to pressure from some influential land owners. I think land owners at Depsi must not give in to this unlawful pressure and arm twisting tactics of Thimphu Dzongda. Only Depsi is targeted. Why not “develop” other areas such as Namselling, kabisa, khasadrupchu, Semtokha? I wonder if there is a bigger conspiracy at play. Nothing is transparent. The Thimphu Dzongda wants to take 26-29% land away from people but doesn’t want to specify time and budget for infrastructure development. The bridge is also falling apart. Needs a thorough investigation from the excellent Bhutanese journalist. The stakeholders (i.e Landowners) opinion doesn’t MATTER. In the 6 rounds of talks, landowners small and big were lectured and presented with the government case. Dzongda Lhap Dorji just bulldozed with no consideration for feedback presented. Wow! The arrogance of the dzongda’s “Who are they to ask for budget allocation?, when actually the land owners asked to see the budget allocation, raises questions on whether the Debsi land pooling really is transparent as claimes. As for the dzongda’s question, they are citizens of the country and have every right to ask for disclosure of the budget. Why, even the government’s budget is open to the public! The landowners don’t appear to be against land pooling. On the contrary, after the obvious failures of land pooling in Thimphu, the skeptical land owners have sensibly asked for disclosures on landholdings, timeframes, and budget allocations, all which would ensure the transparency and accountability of this complicated undertaking. These are certainly reasonable demands. By the dzongdag’s own admission Debsi land pooling is an ad hoc activity, one that would not have an allocated budget under the current plan. 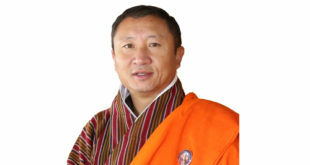 However as, the MOWHS and dzongkhag are bent on steamrolling through, without any funds or full consensus, a difficult and costly project on a piecemeal basis the project is already doomed from the start; unfinished roads like the muddy, dusty roads in the Lungtenphu, Taba, Jungshina, long promised water supplies or long project durations of ten years to complete the 6 km expressway will be the end result. That is why, accountability is so important. Why does the Land Act prevent public disclosures on landholdings? It is these barriers to information that lead to manipulations and shady deals. A more transparent approach would be to allow public scrutiny; with more eyes there is the assurance that land transaction would be fair. The NLC should follow the Thimphu District Municipality’s example of transparency; land transactions are listed on their website. In Debsi, to resolve suspicion, all landholders should voluntarily, in the interests of transparency, allow public scrutiny of their records. If everything is legitimate no one should have anything to hide. 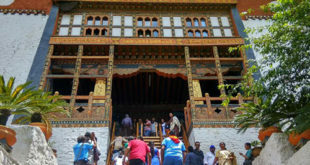 By allowing 3 stories the Debsi plan does not conform to the Thimphu Municipality’s norms for an urban village. Shouldn’t there be consistency in the plans? With the economic crisis in the country, it is doubtful whether Debsi land pooling finds its way into the 11th Five Year Plan. So don’t start what you can’t finish. 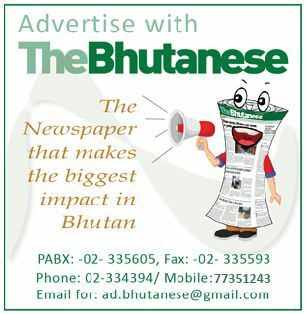 The evidence is all around in the mess that Thimphu has become. 1. Other local area plans in Lungtenphu, Taba, Jungshina do not include a health centre, so why does Debsi, need one. Also the main hospital is about 7 km away, a short distance away for the affluent people of Thimphu. Why not use that money elsewhere like in Zhemgang or Gasa? Why does everything have to be in THimphu? 2. Why is the government taking private land for schools, when there is so much government land around? 3. Why does Lungtenphu LAP with its garishly painted tall buildings, where neighbors look into each other’s windows, look so ugly? Is this the fate of Debsi? Exactly, where is the need to have a BHU at Debsi, when the countries premier hospital ie Jigme Dorji Wangchuk Referral Hospital is only about a 15 to 20 minutes drive away. Don’t you think that it would be an absolute waste of RGOBs meagre resources if such a plan is indeed impemented. The school is also not needed if it is being built on land acquired from private land holdings, I have not heard of any other government school in Bhutan being built on land acquired from private land owners. So in many ways, maybe the 4 biggest land owners do have a point and the dzongdas sheer high handedness and arrogance has certainly not helped the negotiations it seems. Do you see the condition of Thimphu city today? Do you experience congestion, traffic jams and parking problems? Do you get fast service at the JDWNRH? Do you experience the high rent in Thimphu apartments? If, yes, to all the questions above, I would urge you to go ahead with the Depsi plan. We need planners to plan our cities, and not landowners to do the planning. Please appreciate the efforts made by the Dzongkhag, and the MOWHS for the well being of our future citizens. You may join us to live in a very well planned area as Depsi very soon!